The first technology will be used around its hub at Amsterdam Airport Schiphol (AMS). From the moment passengers enter into the airport, they can connected to the airport’s WiFi system, bluetooth via beacon technology (Related news on beacon technology), or GPS over a cellular network in combination with the airline’s iOS mobile application, Twitter, WeChat and Facebook Messenger to locate airline facilities in a easy manner. The wayfinding feature works by showing the passenger’s approximate location as a dot on a floor plan which allow them to determine the distance to the closest airline facilities such as check-in desks, gates, lounges and transfer desks. The wayfinding feature is available immediately when passengers upgrade to iOS version 8.6.1. The airline also added other airport facilities such as washrooms, workspaces and mediation areas are also included with more to be added in the future. KLM is a handful of airline in the world to provide enhanced wayfinding features to passengers. American Airlines (AA), United Airlines (UA), Delta Air Lines (DL) and Lufthansa (LH) are the others that have similar functions embedded into their mobile applications using a combination of beacon technology and the LocusLabs indoor mapping platform. Wayfinding technology is increasing a much needed feature for airlines courting passengers to connect with them instead of choosing non-stop options with the fear that they will miss their onward flights. Whenever you visit a new city, do you think about how good it would be if there is a local tour guide with you for wayfinding tips and local fun spots?With over 18 million local and international visitors yearly travelling to Amsterdam (ranked 8th in Europe in 2015), KLM thought it would be a great idea to design a device that can assist travellers around the city. Dubbed the “Care Tag”, it is the world airline’s first location tag, it is a smart device consists of an offline GPS module, a speaker and a rechargeable battery that will provide location based verbal tips when travellers enter into a specific spot. Travellers over the age of 18 can order the Care Tag online for free for a limited time https://caretag.klm.com/. Once signed up with a name and contact details online and activate the tag after receipt, they will be able to receive additional assistance from agents starting in September 2017 as an experiment. 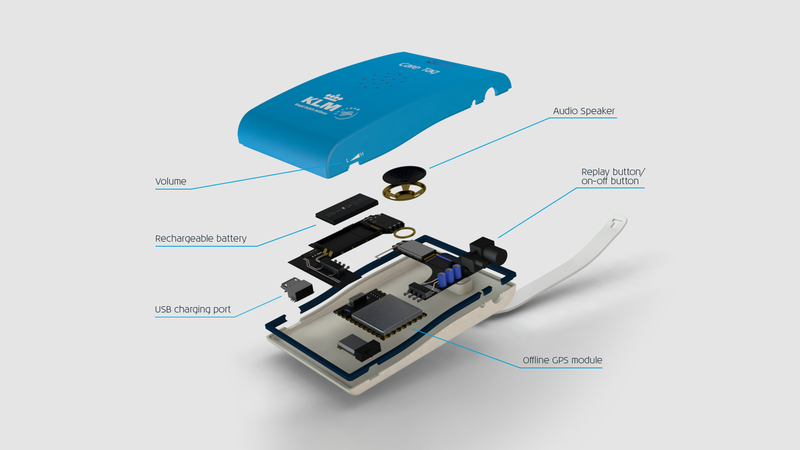 The smart device interacts with travellers through a location based offline GPS chip. It is meant to be used as a quasi tour guide which is great for those who like to navigate the city by themselves. With location tracking constantly available, the airline may have data on an individual’s whereabouts in real time which might incite some privacy concerns (as noted in its Terms and Conditions). Specifically, part 4 of the terms of conditions stated that “Email addresses and other personal details collected for this promotion will only be used for the purpose of this promotion (including research in relation to this promotion) and will never be shared with third parties.” Also, additional mobile data usage may be incurred. 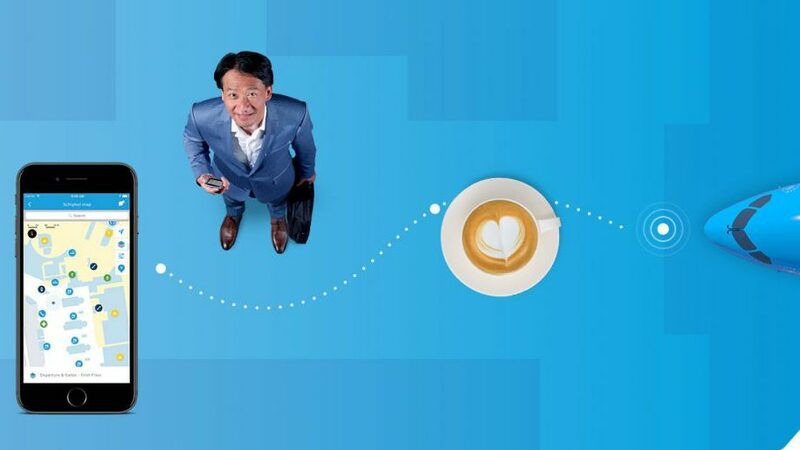 Based on the results (including participant usage and engagement), KLM might extend the Care Tag device to other languages and Dutch cities.